Are you ready to schedule your eye exam? Please submit the form below to request an appointment with an eye care professional at Margaret J. Swinker, O.D. & Associates in Brownsville, PA. Once you submit your information, one of our office staff will be contacting you shortly during our regular business hours to confirm your upcoming appointment. At Margaret J. Swinker, O.D. & Associates in Brownsville, PA we are currently accepting new patients. Please download, print, and complete this patient information form and bring it with you to your appointment. We look forward to returning your contact soon. Looking to get in touch with Margaret J. Swinker, O.D. & Associates? Do you have a question or would you like to schedule your eye exam? Whether you are near- or farsighted, have an astigmatism or other eye problems, we can provide you with the correct glasses and contacts to meet your needs. To determine the best treatment solutions for you, we conduct a thorough eye exam and provide you with detailed recommendations. Lose a screw? Bend an earpiece? Lens fell out? We are happy to help fix these inconveniences for you. Contacts should be comfortable while also correcting your vision. Our skilled optometrists will ensure you get contact lenses that are just right for you. At Margaret J. Swinker, O.D. & Associates we believe you can enjoy life to the fullest with proper eye care and treatment of eye problems. We believe in providing you with the clearest vision through the most advanced eye care possible. 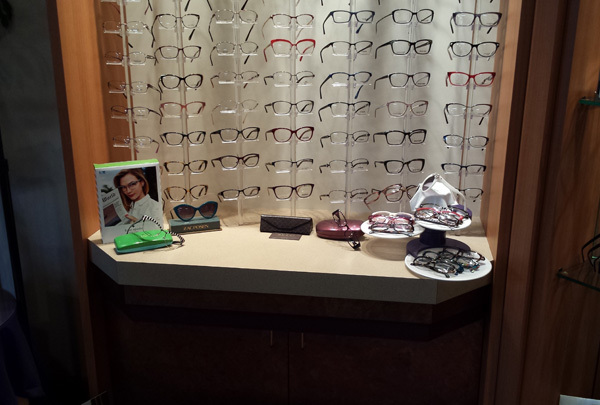 We strive to offer you options that will enhance your vision as well as you sense of style and fashion. The first step to better eye health - schedule a consultation today by calling 724-785-5656 or send us an email. Margaret J. Swinker, O.D. and Associates are optometrist specialists located in Brownsville, PA and provide eye care to the Fayette County, PA area including Uniontown, PA and Connellsville, PA, and also the Mon Valley.